As Liverpool continue to grow exponentially year-after-year, the benefits of tax credits will continue to be quite prevalent. Your Liverpool business will benefit greatly from R&D tax credits when applied appropriately throughout your organization. Read on to learn how with the help of Swanson Reed, we’ll be able to help your business continue to innovate and grow while engaging in more risk-driven activities while at the same time reducing true risk. If all of this seems to be what you’re searching for, you’ll enjoy all we have to offer here at Swanson Reed. 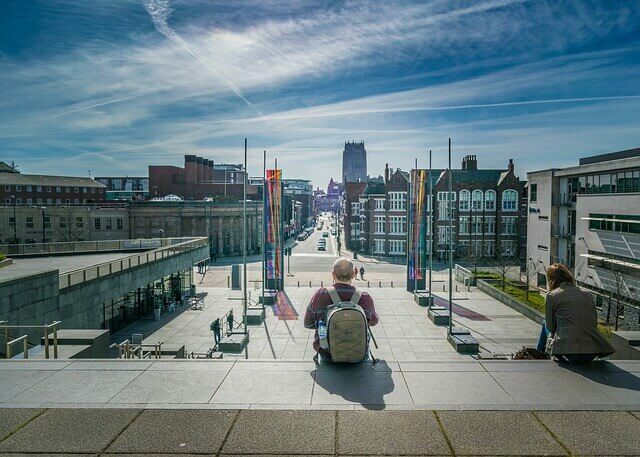 As Liverpool has exponentially grown economically from the early 90s when it was in a quite poor state, it is obvious to many people alike the growth will only continue as time goes on. This is great news for any and all who happen to own and operate a qualifying business which can engage in the R&D tax credit process. If your business participates in nearly any activity which involves true research and development activities to better the organization, you’ll be pleasantly surprised to find all of the available tax credits you may qualify for. Having a large tax credit applied to your business can prove to be a life-changing moment when you’re able to properly invest in a technology, a skilled worker, an advanced piece of equipment, etc… to better your company’s overall productivity and efficiency. Tax credits have a fantastic dynamic where they’re able to simultaneously reduce risk while allowing you and your company to engage in the higher risk behavior without having to worry about the financial repercussions. What we mean by all of this is say for instance your budget to hire a skilled worker is not available due to a variety of constraints from the previous year, yet this year you’re able to hire said skilled worker due to a large tax credit. It’s a win-win as you’re able to take on a greater “risk” while being able to grow your business with the skills of the excellent worker. This system is truly spectacular as it allows your business to thrive and succeed across many internal and external aspects. Your business in Liverpool is most likely feeling the positive effects of the excellent economic conditions of the city itself. Let us help you succeed even further by locating all of the available R&D tax credits for your organization. If you’d like to learn more about our process, our team, our fees, or anything in between; feel free to contact us and we’ll be sure to respond to your inquiry as soon as possible. We look forward to hearing from you soon and are excited to see how we can help your business grow!